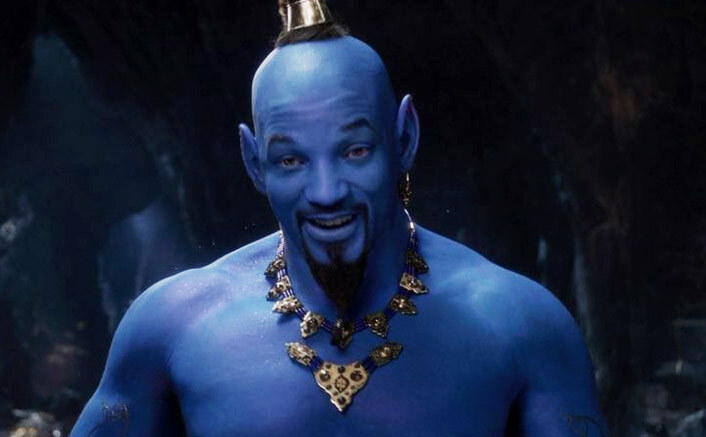 Actor Will Smith’s ‘blue’ avatar as Genie in Disney’s Aladdin*remake was unveiled during the Grammy Awards.The Genie, Jasmine and Aladdin appear in the latest trailer for the film, giving fans a first look at Smith’s character, according to hollywoodreporter.com. Disney’s Aladdin Trailer: Dive Into The Nostalgia With Will Smith’s ‘Very Blue’ Genie!The new take on its animated classic unveiled a trailer on Sunday night. It also featured looks at Jasmine and more scenes featuring Aladdin and Agrabah. Jafar can even be seen leading Aladdin to the Cave of the Wonders. Mena Massoud stars in the live-action remake as Aladdin, Naomi Scott as Jasmine and Marwan Kenzari as Jafar.The first trailer of the film debuted in October 2018, though fans only got a quick look at Aladdin and his famous lamp.“Aladdin” hits theatres on May 24.Android & IOS users, download our mobile app for faster than ever Bollywood & Box Office updates!